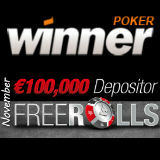 Get your tournament tickets to the Winner Poker Freerolls this November where there is €100k in prize pools to be won . 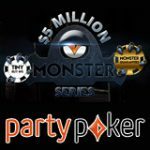 Qualifying is fairly easy as players just have to make a minimum deposit and play €1 in rake to get a tournament token to the weekly €20,000 Freeroll. 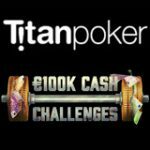 The €100K Freeroll Series runs every Sunday in November and players can qualify for all five tournaments by completing the requirements each week. 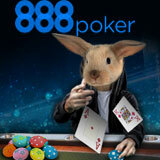 New players get a 250% first deposit bonus up to a maximum of €1,500 as a welcome bonus from WinnerPoker. 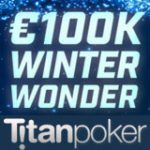 The €100K Freeroll Series consists of five Winner Poker Freerolls each offering a €20,000 prize pool every Sunday in November. Get your tournament tokens to the November Depositor Series by making deposits within the weekly qualification period and playing the €1 rake requirement. 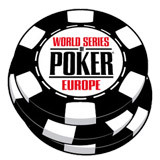 Players can register for the Winner Poker Freerolls in the lobby by clicking on the €100K Freeroll Series tab. Registration opens 2 hours before the tournament starting time. 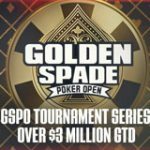 Complete the depositing and wagering requirement during the qualifying dates to win a freeroll token to the corresponding freeroll date. 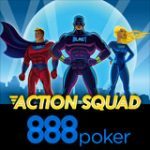 Players can qualify for as many Winner Poker Freerolls as they like by completing the weekly requirements for additional tournament tokens. 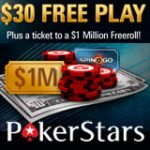 Players than make a first deposit will also get entry into the twice daily Winner Freeroll Super Turbo and weekly $250 Depositors Freeroll. The Super Turbo tournaments payout Twister Poker SNG tournament tickets, a new jackpot tournament format where players can win up to 1,000 times their buy-in. Prizes: 3x Twister Poker SNG tokens valued at €5 each. Prizes: 2x Twister Poker SNG tokens valued at €10 each.